I am not getting too excited about it – in fact, I am not getting excited at all – but “Total Politics” have been publishing their latest ranking of political blogs in the UK. This year, the arrangements changed requiring a lot more effort from those who wanted to vote and I don’t know what that did to the level of participation in the exercise, as the background data is not published. However, for what it is worth, this blog has been rated as 228th in the list of the top three hundred political blogs in the UK. Apparently, this is an upward move: I was (although not aware of it) in 271st place last year. At least, I am above Lynne Featherstone who comes in at 252nd. The blog is also 33rd in the list of the top one hundred Labour blogs and personally I am 87th in the list of the top one hundred Labour bloggers (this is presumably not a bad result as David Miliband is at 72nd place and Ed Balls at 73rd with Tony Benn in the 90th spot). “My Lords, I first declare an interest as a member and former chair of the Metropolitan Police Authority, and also as a vice-president of the Association of Police Authorities. The noble Baroness, Lady Harris, has given good service to the House today by moving her amendment, if for no other reason than that it will enable us to have a free-ranging debate in Committee. I hope that it will be a useful introduction to the Minister in her new role; it will enable us to rehearse the arguments for her benefit as well. The noble Lord, Lord Cormack, is worried that we might pass the amendment, which would be discourteous. However, it would provide an opportunity for-in the current jargon of the coalition-a pause. Apparently pauses are a good thing because they allow the coalition partners to consider whether they are departing on precisely the right track. This would be useful in the context of the Bill. The central objective that the Government have put before us of improving the democratic accountability of the police service is right. I hope that no one in the House would disagree with the principle. The question is whether the mechanism that has been put forward will achieve that objective, or whether it will have unintended consequences. The work of this Committee over the next few weeks or months may be to look in some detail at how this will work in practice, and whether there could be unintended consequences. Like the noble Lord, Lord Hamilton, I have no problem with the principle of direct election. I work on the basis that elections are a rather good way of determining who should have ultimate responsibility for things. However, what distinguishes this proposal is that we are talking about the direct election of an individual who will be given tremendous responsibilities, but without a suitable governance structure to prevent a situation in which the individual might make capricious judgments or seek to trespass on the operational independence that chief constables hold so dear. The Bill would give an individual tremendous authority, but without the governance structures, checks and balances that would be necessary given the importance of the role. elected to fulfil the role. I was a directly elected member of the London Assembly, but that was slightly different from being directly elected to be in charge of the police service for London. I would have welcomed that additional authority. No doubt it would have been helpful to my relationship with the commissioner of police for the metropolis, the noble Lord, Lord Stevens, who has just left us. It would have been particularly important for my relationship with other elected colleagues such as other members of the London Assembly, local council leaders and so forth. I would have been able to say, “This gives me the authority on behalf of the people of London to say what is necessary”, but I would have been operating in the context of checks and balances on what I could and could not do. I would have had other authority members and the scrutiny processes that were in place with the London Assembly. Therefore, it would not have been untrammelled power. I would have had that responsibility and extra authority, but there would have been these mechanisms around. What is so striking about this Bill is that those mechanisms are virtually absent. We will be told that the policing and crime panels offer that substitute governance structure, but they are essentially scrutiny bodies after the event. They are not part of the decision-taking structure and are not there, except in extremis, to say that a decision has been taken inappropriately. The spirit of partnership with other colleagues is so crucial in this area. There is nothing wrong with the principle of direct election, and if that is something that the Government feel is absolutely central to what they are trying to achieve here, that is fine, but around this single individual, if that is what we are to have, there must be a proper governance structure. The danger is that because a number of us, perhaps in all parts of the House, have concerns about the single individual, we will set around that individual not mechanisms of good governance, but limits to their authority and to their ability to make the police service accountable to the local community. The danger is that those extra mechanisms may reduce the quality of accountability and the extent to which the police are accountable to their local communities. If you simply say, “We will give the policing and crime panel more of an opportunity to have a go at the policing and crime commissioner”, that is all well and good, but let us be quite clear that they will then be very political environments. You will have an elected politician, and I share the view that this will almost certainly be someone from a political party. It may exceptionally not be, but it will usually be, and if it is not, it will make the matter worse because they will then be dealing with a policing and crime panel that will be virtually entirely made up of elected politicians from the various political parties. This will then be a party-political forum in which the aim will be to criticise the decisions of the policing and crime commissioner. It will all be good fun, but it will do nothing about the accountability of the police service. of the Commissioner of Police of the Metropolis in that there was a series of major items with which the public were seriously engaged. It required the acting commissioner to make a public apology to those present and, through the media, to London as a whole for failures in respect of two investigations. In one instance, the family of the person who had been murdered was present to hear that apology. That is something you throw away at your peril. There was also a large group there that was concerned about the death of Smiley Culture. The sight of the police being seen to be answerable to people representing the public is very important in incidents of that sort. The danger, the unintended consequence, of the Government’s attempt to improve the democratic accountability of the police may be that you lose that visible answerability and that opportunity for different sections of the community to come together. We have not heard an answer about how that is to be replicated. The noble Baroness, Lady Neville-Jones, suggested at Second Reading that the occasions when the chief officer of police meets the elected policing and crime commissioner could perhaps be held in public, but I do not see how that can work. It is a discussion à deux. There would be TV crews and newspaper reporters would be taking notes. This is not the way accountability operates. We are talking about how you recreate that visible answerability and provide a mechanism whereby an individual elected to this important role is protected from acting capriciously or unnecessarily. I am not suggesting that, in the way of former Roman emperors, they should have somebody going around whispering in their ear that they were mortal, but if there are to be people elected by perhaps 1 million people in some of the larger police areas who have that direct responsibility and no governance structure around them, there has to be some mechanism which reminds them of their wider responsibility and helps them to avoid making capricious decisions or decisions which favour one part of a community rather than another. That is why that structure is needed around what is proposed. In the run up to the first Mayoral elections in 2000 I was anything but a Ken Livingstone supporter. Indeed, I even wrote an article in the Evening Standard entitled “London Deserves Better” arguing that neither Ken nor the emerging Conservative candidate at the time (one Jeffrey Archer – before he went to prison) were suitable candidates to be London Mayor. But that was before I worked with Ken during his first term as Mayor. For those four years, I led the Labour Group on the London Assembly and chaired the Metropolitan Police Authority and I saw at close quarters Ken’s commitment to London, his political courage and determination, and his ability to make things happen. And a lot did happen. There was the successful introduction of the congestion charge – something that most pundits were convinced would never happen when the provision was first included in the Greater London Authority Bill. It required vision, drive and an attention to detail. And Ken showed that he had all three. There was the transformation of the bus service in London – so that the capital became the only part of the country where there was a shift of traffic away from other transport modes. And, of course, those four years saw the birth of the Oyster Card – then an innovation, now an integral part of London life. At the same time, London’s policing was turned round: morale increased; the haemorrhaging of police numbers (which had started under Conservative Home Secretary, Michael Howard) was reversed; Police Community Support Officers were introduced and began their visible patrols all over London, leading to the creation of Safer Neighbourhood Teams in every Council ward in the city; and crime rates that had been increasing for years started to come down. In Ken’s second term, I was less closely involved. However, all Londoners saw the leadership that successfully won the bid to host the Olympics and Paralympics in 2012 and that brought London together following the terror attacks in July 2005. There was also the leadership shown on climate change, which established London as one of the leading cities in combatting the effects of global warming. All of this was a big contrast with the Boris Johnson Mayorality, where despite the frequent announcements of “new” initiatives that either turn into damp squibs, like the “Story of London Festival“, or are re-packaged initiatives started under Ken’s period as Mayor. The major so-called success has been the new cycle hire scheme – again originally initiated by Ken – but with the details mismanaged by Boris Johnson and his team – see the analysis by Helen at Boris Watch. So why should Ken be the candidate in 2012? The first point to make is that he is the best-qualified candidate. An effective London Mayor must have a coherent vision for London. And this means much more than merely stringing together a series of half-worked-through ideas. Ken has that vision – a vision he has been refining and articulating throughout his political life. What is more London’s Mayor must be committed to the job. It should not be regarded as a stepping stone to some different office (as the current incumbent clearly regards it), nor should it be a consolation prize for someone who has failed in their political career elsewhere. Ken is committed to London and I have already mentioned his political courage and determination, coupled with his ability to make things happen. rebuilding the consensus on major infrastructure projects in London to strengthen not only London’s economy but to benefit the UK as a whole. “took place on a very bad night for Labour ….. one of the worst nights of local election results since before the second world war, with Labour polling 24%. …. On this terrible night for Labour Ken Livingstone actually increased his first preference votes from 685,541 in 2004, to 893,877 in 2008. This was not simply a consequence of a higher poll. He actually increased his share of first preference votes by 1.3% from 35.7 per cent to 37 per cent (the London wide Labour member vote increased by 0.32 per cent to 27.12 per cent, which was 10 per cent behind Ken?s vote). Now this does not mean that Ken Livingstone is without his flaws – indeed no political leader with any flair ever can be. Nor does it mean that I agree with all the judgements he made during his terms as Mayor (I disagreed, for example, with his decision to extend the original Congestion Charge zone westwards rather than creating a separate zone). However, I am clear that having Ken Livingstone back as London’s Mayor would be good for London and Londoners and that Ken Livingstone is the candidate best-placed to win the Mayorality for Labour and to get rid of the current ill-focused and chaotic regime. I spent a big chunk of yesterday visiting Broadmoor Special Hospital, in my capacity as Chair of the Independent Advisory Panel on Deaths in Custody. The visit was fascinating, staff were very generous with their time and I learned a lot. I also enjoyed the security arrangements, which are rather more rigorous than most that I have encountered. You need a photo-ID, you provide two fingerprints for matching on entering and leaving the hospital, most electronic items have to be left in lockers outside the hospital, and you need to go through a metal detector as well as being searched. When all that is completed you are issued with a visitors’ identity badge, which carries your photograph, your name and job title or designation. Presumably, when it came to a job title, only a certain number of characters could be entered on the badge and “Chair of the Independent Advisory Panel on Deaths in Custody (Ministry of Justice)” obviously didn’t fit. I found myself bearing the label: “Lord Toby Harris, Minister of Death”. Fortunately, the font size was quite small, so I think (hope?) that none of the patients could read it …. We do a regular shop from Sainsbury’s using the home delivery service selecting items on-line. Those who do likewise will know that if the item you want is not available Sainsbury’s will carefully select for you an equivalent purchase – unless you have ticked the “No substitution” box. This morning’s groceries arrived with only one substitution. 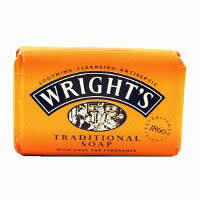 We had ordered four 125gm bars of Wrights Coal Tar Soap (you will be pleased to note that the Harris household washes). four three-packs of Wrigleys Orbit Complete Strawberry flavour chewing gum. I am still trying to work out the thought processes of those who made the substitution. I have been posting about the experience of becoming a member of the House of Lords (see here, here and here). A date was set for my Introduction. This is a formal process where you are robed up (the one and only time that I have worn the robes) and led into the Chamber at the beginning of the day’s business. You form part of a procession involving both Black Rod and Garter, together with two colleagues also in robes who “introduce” you (in my case, the two introducers were Lords Andrew McIntosh – the other Haringey – and Frank Judd, both of whom I had known since I was a teenager). Then you listen to your Letters Patent being read out, swear or affirm (I affirmed) an oath of allegiance to the Queen, sign the Roll, and bow. This is the abbreviated ceremony that lasts about seven minutes – the old ceremony lasted about twice as long and involved much more bowing and the doffing of hats with feathers. Fortunately, this – as far as I was concerned – took place in something of a pleasant haze. It is customary to have a good lunch beforehand (which you pay for) with your two colleagues, along with your family and friends. (With another feudal touch the three Peers are served first when the food arrives.) I dimly remember being taken off to the Moses Room, putting on the robes and my two colleagues bursting into a chorus from Iolanthe, before a brief rehearsal, and into the Chamber. Colleagues in the Chamber are keeping tally of those who swear and those who affirm, and mark out of ten the quality of the bow at the end – although (just as well) didn’t know anything of this at the time. Finally, as you leave the Chamber, you shake hands with the Lord Chancellor (now the Lord Speaker), colleagues growl “Hear, hear” in approval (you hope), and the formal process is over. Then, after a brief pause to take off the robes and have photographs taken (I was advised not to have any official photographs taken in my robes, as these would thereafter always be the ones used by the media whenever your name was mentioned), you go back into the Chamber in more normal clothes – and the rest of your life begins.